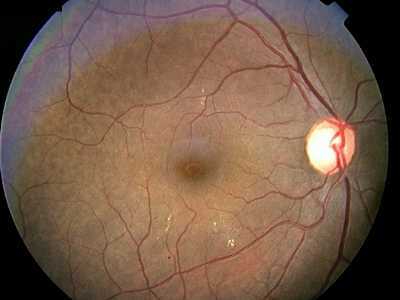 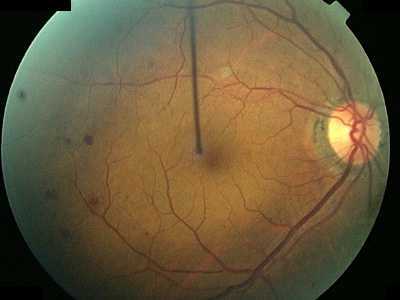 Background retinopathy (BGR) or non-proliferative retinopathy always predates proliferative retinopathy. 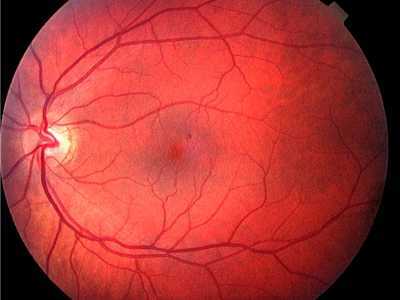 The image above also shows a crescent on the temporal aspect of the optic disc (labelled 2) which is a normal variant. 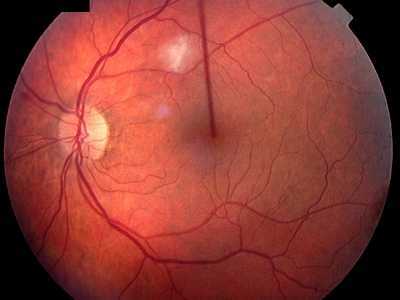 are within the macular area, the picture is designated as ‘Diabetic Maculopathy’ so as to highlight the potential sight-threatening nature of this condition. 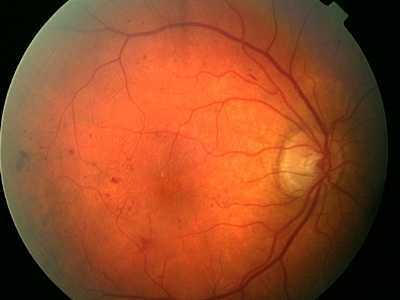 Diabetic maculopathy is classified into focal, diffuse and ischaemic types although for physicians this is a rather academic exercise since all patients will require a formal ophthalmic review. 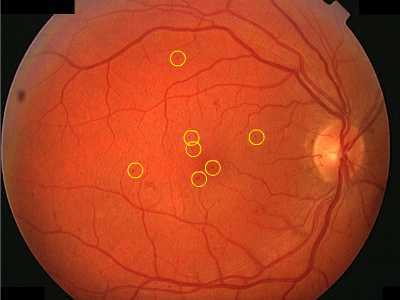 Visual loss is due to macular oedema (which can only be viewed by binocular stereoscopic slit lamp examination) and/or ischaemia. Differentiation of these components is usually achieved by fluorescein angiography. 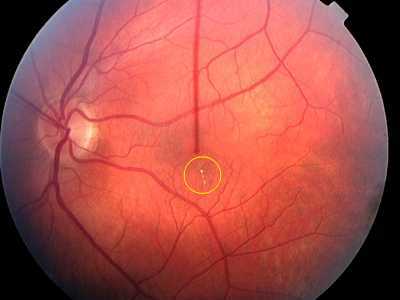 An occasional cotton wool spot and/or mild venous dilatation (which is so subjective that it cannot usually be seen) is consistent with background retinopathy.